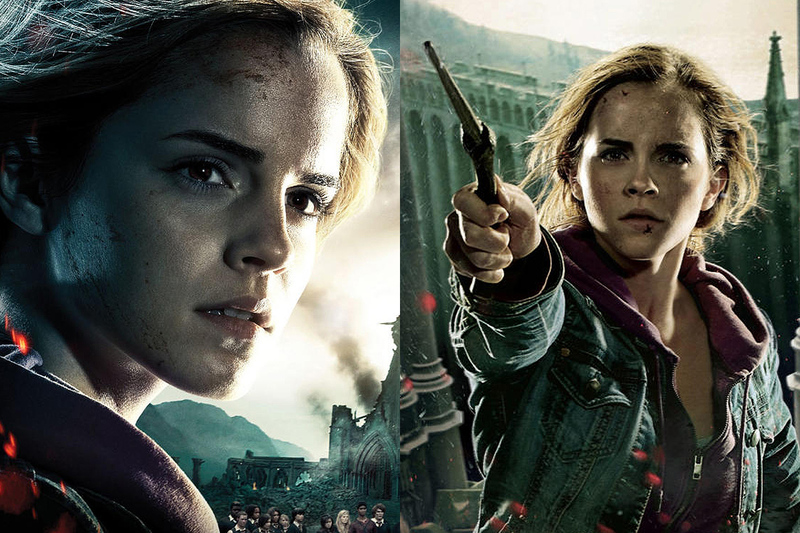 She first played Hermione in the “Harry Potter” film series at age nine. Eleven years and eight movies later, with the final one, “Harry Potter and the Deathly Hallows – Part 2” showing in July, Emma Watson is ready to close that chapter in her life. Or is she? Find out in the following interview. Question: How are you feeling now that the films are coming to a close? Are you nostalgic? Emma Watson: That question never gets clearer or easier really to answer. It’s hard for me to answer because I still don’t really know how I feel about it. I’m still processing it. So, to give you an answer is actually quite hard. I have days where I feel relieved and I have days where I feel very sad. And I have days where I’m like, ‘I’m so excited.’ Because this just took up my life, all of my time; my life revolved around Harry Potter. That was the focal point of my existence. And it’s exciting now that I have this time, I can accept other things. I mean, I know the grass is always greener, but there were moments when I was making this when I was like, ‘God, I wish I could go and do that.’ Or something would come up and now I have time to go and do different things. So, it’s exciting too. I swing kind of like a pendulum back and forth between all these different emotions. Q: Is there any particular scene in any of the films that you would like to go back and reshoot, even as a different character? Watson: Ooh, that’s interesting. I actually had a really good time playing the evil Hermione in Ron’s vision, so I’d quite like to go back and play a bad guy for once. I think that would be fun. Q: You seem to take the media stuff in stride. Watson: It’s experience. I’m twenty years old now and I was nine when I went into my first press conference, so you just get used to it. It takes too much emotional energy to get upset every time something’s written that you don’t want to see. You just have to let it go. I would be a crazy person. Q: Did you realize that early on? Q: So would you still think of an acting career or is it still up in the air for you? Watson: No, definitely, and this film’s given me a lot of confidence. I just did a movie called My Week with Marilyn, which is a Weinstein production with Eddie Redmayne and Michelle Williams and that went really well. And, no, I think I will keep acting. I think I’d like to make maybe one movie a year or something. Q: This movie really gives all of you a chance to really act. What does David Yates bring to that? Watson: The thing about working with David Yates is that you always hear this word, “truth” and finding the truth and being honest and real. He really hates anything false; he wants it to be from the heart. And so I think that made me a better actress. Especially at the very beginning; I felt I was playing such a character and when I was playing Hermione I could really put on this act and become this kind of big personality and use that to avoid being as truthful. And then he just said, ‘Just do it from here. Just forget all of that stuff. Just be honest.’ That’s what I tried to do. And I think it made a difference. Q: Which of all the scenes with Ron and Hermione was your favorite to film? Watson: In “Part 2,” we go off on this little adventure together to destroy the horcrux. And it’s kind of like a comedy act because it’s the first time you see Hermione and Ron in tune. We’re usually so offbeat. We’re always going to miss each other and we kind of clash. And then, in this one scene, we’re this real team and it’s so funny and we’re both so into it. There are just a couple of really funny comedy moments and I just really enjoyed them. Rupert’s a great comedic actor and so we had a really good time just really bringing the humor out of everything that we could. Distributed by Warner Bros., “Harry Potter and the Deathly Hallows – Part 2” will be released in Philippine theatres and IMAX, in 3D and 2D, beginning July 14.